We always want our holiday dinners to be perfect. But quite often they’re not. To be fair, some of us were quite picky eaters, so she was right. And she was always trying to make her kids happy. Her approach came in handy one year when I was cooking Thanksgiving dinner at my house. My mom offered to bring dessert. 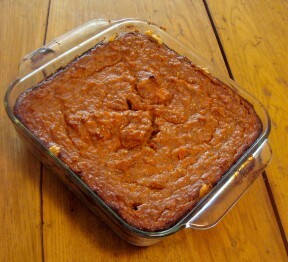 But the box she was using to carry the pie up my steep front stairs broke open and deposited pumpkin all over the steps. Fortunately, thanks to my mom’s “more is more” approach, there were another two pies, carried in a sturdier box by my brother so there was still more than enough dessert for the family. In my first novel, Murder is Uncooperative, Rebecca Butler is facing a disaster of her own in her new home. Rebecca’s a single mom, desperate to find an affordable, wheelchair-accessible apartment for her family, which includes her four-year-old son Ben and her disabled father. That’s not easy in Vancouver’s expensive rental market, so she’s ecstatic when she finds a home in a non-profit housing co-op. Still suffering from her divorce and the recent death of her own mother, Rebecca doesn’t feel much like celebrating the holiday until she hits on the idea of inviting those of her neighbors who don’t have family nearby. Her invitations are accepted with enthusiasm and everyone offers to bring something, so things are going well until Rebecca goes to put the turkey in the oven and discovers it isn’t working. Fortunately, the stove top is still working and one of the neighbors she has invited lives in the next-door apartment and has a working oven. So everything goes well, until she discovers that one of those neighbors is a murderer. 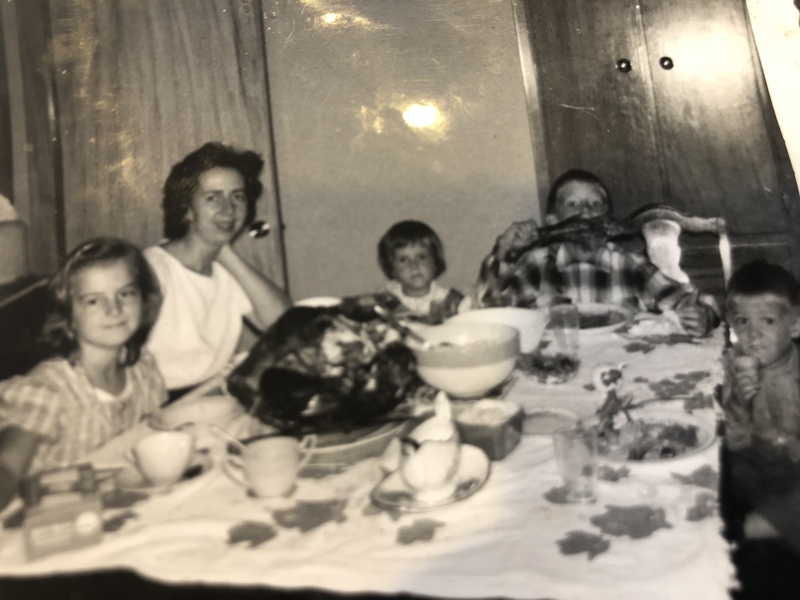 This traditional mystery is set in Vancouver, where I live, so Thanksgiving is celebrated on the second Monday of October. It started as a religious festival to give thanks for a good harvest. Canadian Thanksgiving shares many things with the American festivities, including a big meal with family and friends, and football. Thanksgiving dinner is also very similar in both countries, including a turkey and stuffing, mashed potatoes and gravy, cranberry sauce, (Canada is the world’s second-largest producer of cranberries, after the United States) sweet potatoes, corn and other fall vegetables, and pumpkin pie. In keeping with my mother’s tradition, Rebecca serves two desserts – a pumpkin cheesecake and a chocolate pecan pie. But I’m going to share another chocolate delicacy that is a favorite in Canada, and that has been a staple at many of my family’s gatherings. This is my mother-in-law Erna’s recipe for Nanaimo bars, named after the city of Nanaimo. This recipe can also be made with mint or peanut butter flavoring the center layer, but I prefer this traditional version. Melt first 3 ingredients in top of double boiler. Add egg and stir to cook and thicken. Remove from heat. Stir in crumbs, coconut, and nuts. Press firmly into an ungreased 9″ x 9″ pan. Cream butter, cream, custard powder, and icing sugar together well. Beat until light. Spread over bottom layer. Chill. Melt chocolate and butter, cool slightly, then smooth over second layer and chill in the refrigerator. Store in the fridge. Can be frozen. Check out other mystery articles, reviews, book giveaways & more Halloween mystery short stories in our mystery section. And join our mystery Facebook group to keep up with everything mystery we post, and have a chance at some extra giveaways. Also check our our new mystery podcast which features mystery short stories (like Merrilee’s Mercy Killer) and first chapters read by local actors. 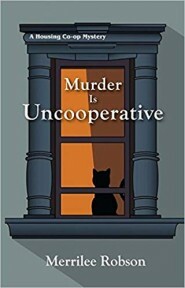 Merrilee Robson is the author of Murder is Uncooperative, a housing co-op mystery. Her short story, The Mercy Killer, was recently published on the Mysteryrat’s Maze podcast. Visit her website at www.merrileerobson.ca.